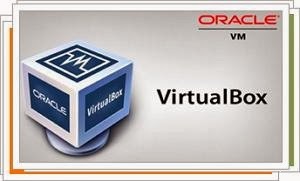 Oracle VM VirtualBox allows you to install and run multiple operating systems within Windows. An excellent virtualization program, free, and easy to use. VirtualBox is a virtualization program that recreates all the components of a computer, from the CPU to the graphics card, Internet connection, sound card and USB connections. With VirtualBox you can install other versions of Windows, Linux distributions and other operating systems that will run at the same time and can interact with folders on your main operating system and the devices you connect to your PC. VirtualBox allows you to try programs or system settings without fear of losing your data, since the virtual machine is a controlled environment that do not affects your real computer.